Getting enough iron is a health concern that many women have, but it’s also one that men may also have too. Depending on dietary choices, activities, hormones, and overall health, a person’s iron levels can vary during the course of their lives for many reasons. Iron is an essential part of hemoglobin which makes up red blood cell tissues. Like all minerals, you need iron for optimal health, but you should be careful about where you get your daily iron from and how much you consume. Iron is also especially important for athletes since it delivers necessary oxygen to the muscles to fuel grueling workouts. Iron even supports metabolic function because it makes up the protein in the body known as myoglobin. This protein provides oxygen to the muscle tissues helping to boost energy and aid in proper growth and repair of the body’s muscles and connective tissues. The bottom line is that without iron, you simply cannot function at optimal levels. Anemia is not the only condition associated with low iron levels. 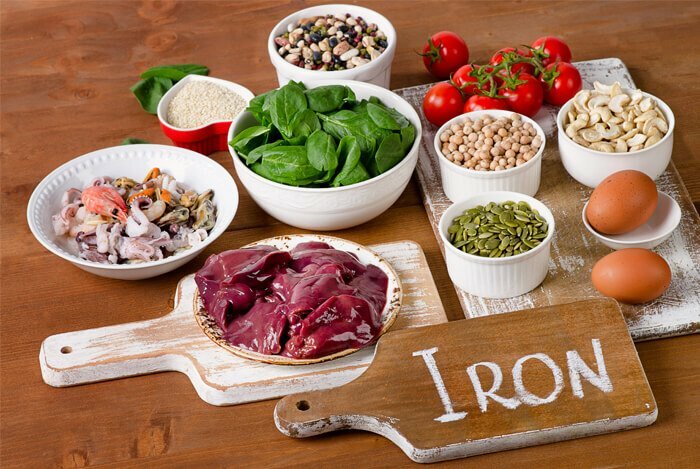 Mental fogginess, depression, and even injury can all be associated with too little iron in your diet. 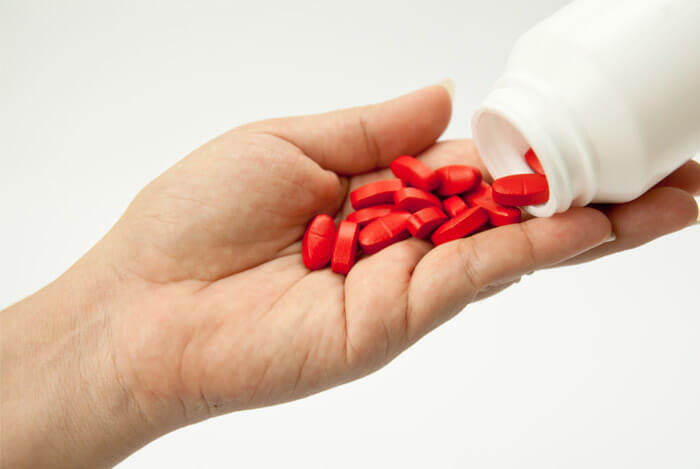 However, popping an iron supplement may not be the best option for your health. Iron is also one of the only minerals that accumulates in the body, and you don’t excrete it in large doses, especially when you take large doses of supplemental iron. It’s possible to consume too much from the concentrated amounts in supplements, but much harder to get too much from whole foods. So how are you supposed to get enough iron without taking iron supplements? It’s actually easier than you think when you add the following iron-rich foods and tips to boost your iron levels into your routine! If you eat red meat a few times a week, your iron needs will probably be covered. If you’re trying to limit your red meat consumption, or you’re vegan or vegetarian, these are some alternative options. Hemp seeds are a great source of iron and one of the most overlooked sources, containing 16% of your daily needs in just 3 tablespoons! They’re also rich in protein, omega-3 fatty acids, Vitamin E, chlorophyll, magnesium, zinc, and potassium. Hemp protein powder is even higher in iron since it’s more concentrated containing up to 30% of your daily iron needs per serving depending on the brand and variety of hemp protein that you choose. Hemp seeds or hemp protein are a great way to add more plant-based iron to your diet. 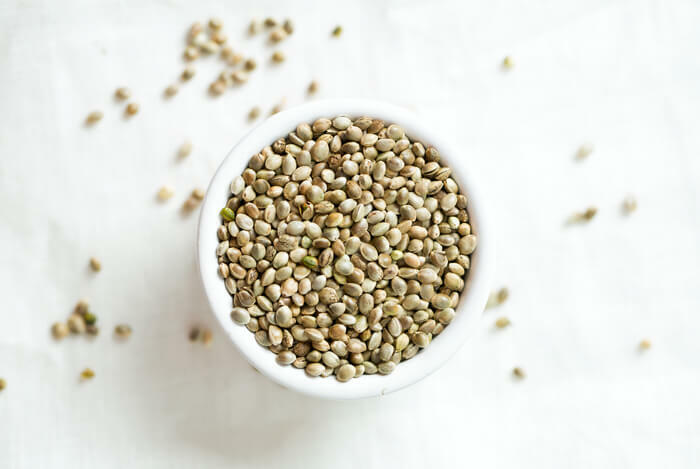 Since it’s a complete source of protein, hemp is also a great protein option for vegans, vegetarians, or anyone looking to add more easy-to-digest plant-based protein to their plates. Add some hemp seeds to your smoothies, oatmeal, salads, entrées, or you can even bake with them if you like too! Hemp has a nutty, earthy flavor and is easy to enjoy in a variety of ways. One of the most well-loved grains is also a great source of iron, believe it or not. Plain oats contain 10-15% of your daily iron needs per ⅓ cup serving depending on the brand and variety of oats that you choose. 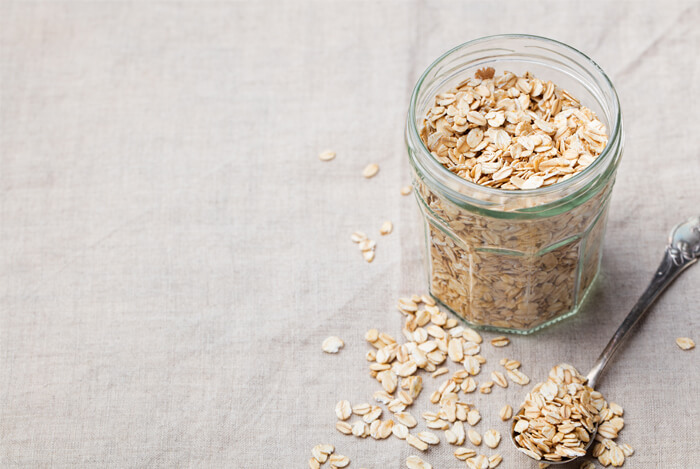 However, you may want to give your oats a soak overnight before you consume them since natural compounds known as phytates that are found in all grains, beans, seeds, and nuts can lead to the prevention of iron absorption. 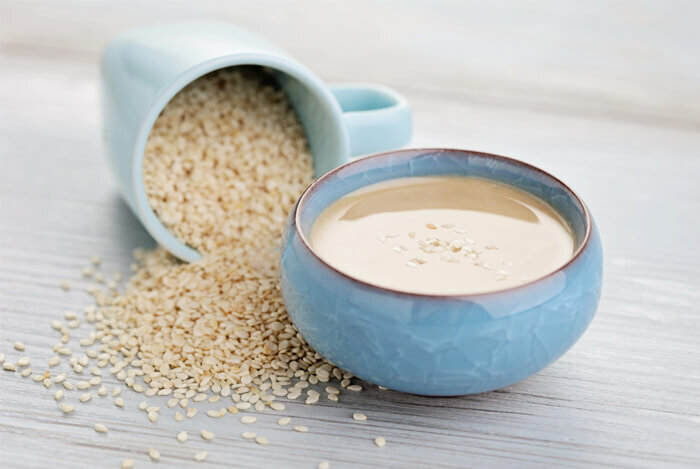 Tahini, also known as sesame seed butter, is a great source of iron that’s delicious and easy to add to your plate. It contains 15% of your daily iron needs per two tablespoons which is easy enough to add to your day either as a dressing, dip, spread, or as an ingredient in your smoothie or porridge. Tahini is savory, slightly nutty, and makes for a great ingredient to include in your salad dressings or as a replacement for peanut butter. It’s also low in carbs, high in protein, and is a good source of monounsaturated fats. 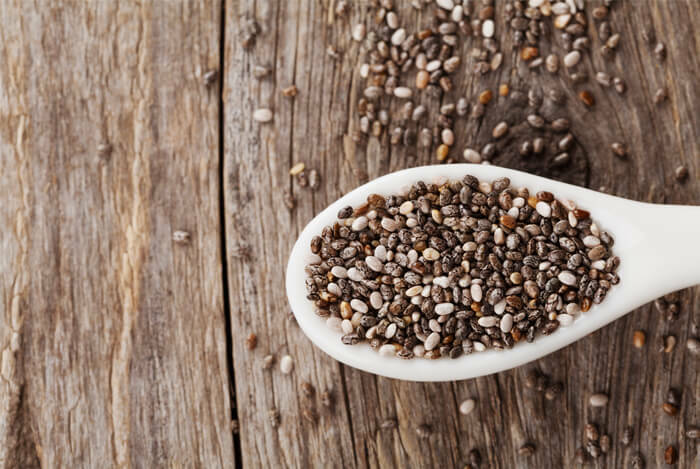 Chia seeds are well-known for their nutritional benefits, but most people aren’t even aware that they’re also a rich source of dietary iron and a complete source of protein too. Chia seeds provide around 2.2 milligrams of iron per two tablespoons which is about 12% of your daily iron needs. Chia is also a great source of other minerals such as magnesium, potassium, and zinc so they’re a wonderful mineral-rich food to add to your plate for complete nutritional benefits. Three cups of boiled spinach provide around 17% of your daily iron needs which is more iron than what’s found in chicken, turkey, and most forms of beef. Raw spinach is also a good source of iron but cooking spinach does improve overall iron absorption, so be sure to keep that in mind when counting your total sources. 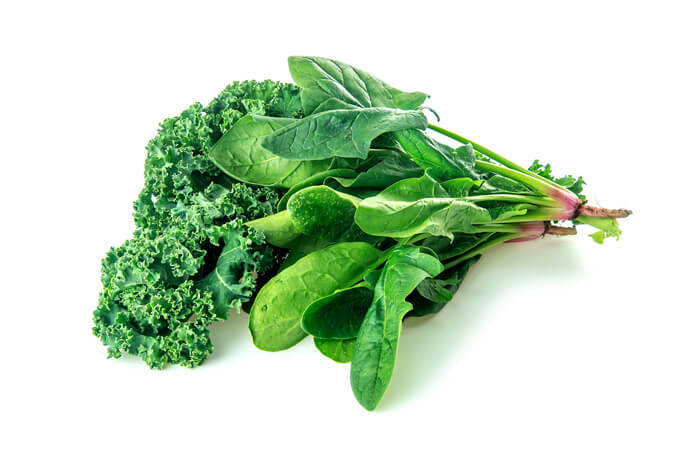 Cooked kale and raw kale are also good sources of iron although they are not as rich as spinach. Other greens such as watercress, romaine, dark lettuces, dandelion greens, and many other greens contain smaller contents of iron as well. Eat a variety of leafy greens per day for optimal benefits, and be sure you include some spinach a few times a week in your diet; it’s also a great source of magnesium, folate, protein, and Vitamin A, E, and C making it a nutrient-dense green you don’t want to leave out of your diet. Beans are high in protein, calcium, magnesium, potassium, and iron too. They’re a nutrient-dense food to add to your diet, although white beans do have more iron than most types of beans. 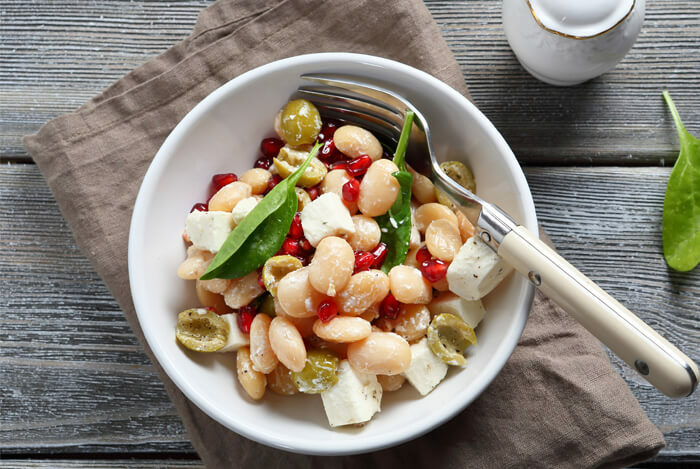 Choose from cannellini, navy, or another variety of white beans depending on which ones you enjoy, and cream them up into a savory dip or use them on top of salads, in soups, or in place of meat at any meal you prefer. 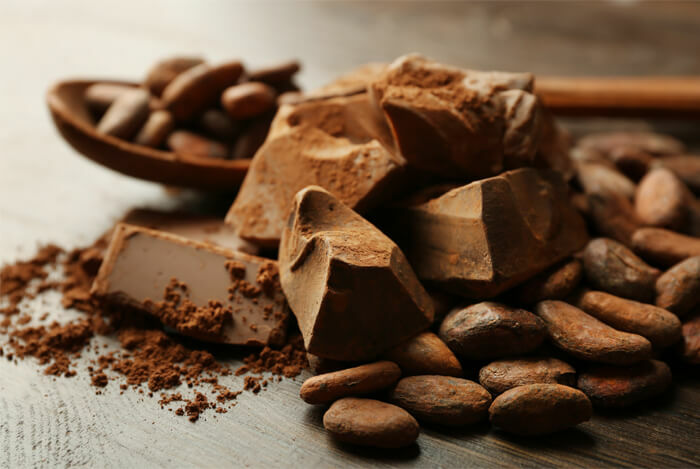 Cocoa, raw cacao, and dark chocolate are all great sources of iron that are obviously a delicious way to get into your daily dose of the important mineral. Cacao is also a great source of other minerals such as magnesium, zinc, potassium, and copper so it’s a well-rounded source of nutrition that should be a part of your daily diet; just don’t use it as your only source of iron so that you can maintain a balanced intake of nutrients. When it comes to the amounts of iron that chocolate has, they all differ depending on the variety that you choose. Common cocoa powder has up to 15% depending on the brand and variety that you select at the store, and raw cacao is even higher in iron, containing anywhere from 10 – 25% of your daily iron needs depending on the brand you choose. Some dark chocolate bars that are high in cacao content can contain up to 40% of your daily iron needs, and they’re a great source of healthy, monounsaturated fats. Unlike other varieties of beans, cacao beans are high in fat so it’s still smart to limit your servings of chocolate throughout the day or be strategic with the varieties that you eat. For example, use cocoa powder which is low in fat in your smoothies or healthy desserts, or you can even use it in place of flour to bake chocolate goods with. Top smoothies and oatmeal with raw cacao nibs, add some cocoa or cacao to your morning coffee, or make a smoothie bowl with some raw cacao powder. Then enjoy some dark chocolate now and again for a healthy treat. There are limitless ways to work this healthy bean into your diet, and no one minds turning to chocolate to get their daily dose or iron, right? 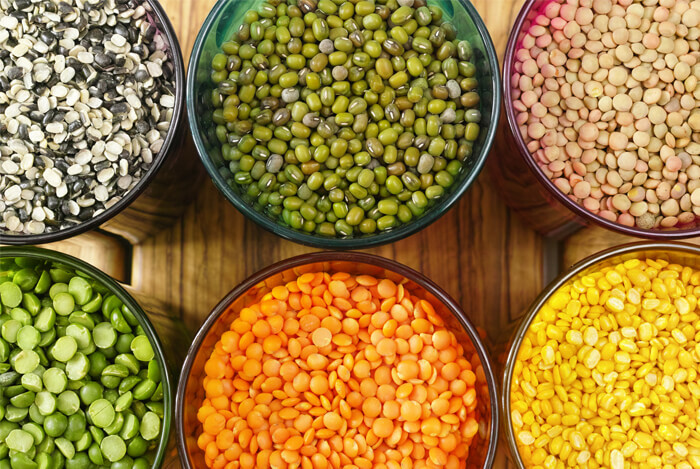 Lentils are one of the best sources of trace minerals you can eat, specifically iron. They’re also easy to digest making them one of the best legumes to eat if you’re not used to eating lots of legumes (beans, peas, or lentils). Lentils contain 15% of your daily iron needs per ½ cup and they’re a great source of magnesium, protein, potassium, zinc, and some B vitamins. Blend them into a soup, eat them alone, or use them as a base for any dip that you enjoy. Red (split) lentils are the most popular variety and the smallest in size, but they’re also the most nutrient-dense variety. Green, black, and brown lentils are still a good choice, however, if you can’t find the red variety. Cashews contain around 11% of your daily iron needs per ¼ cup and they’re also a good source of many B vitamins. 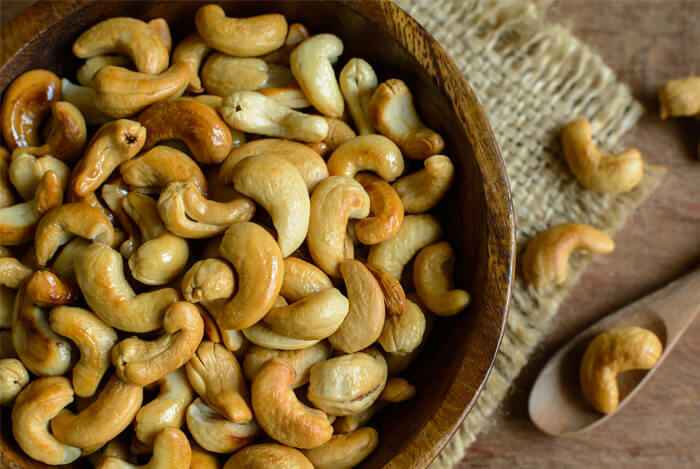 Enjoy ¼ cup of raw cashews per day, or feel free to use a couple tablespoons of cashew butter instead. For more health tips like these, check out these 15 foods that are packed with nutrients that you can benefit from without breaking the bank! What’s your take on these iron rich foods? Have anything else you’d like to share? Let me know in the comments below!